Claud L. Austin Lodge #1450 welcomes you to our website. This site is to inform you about our organization, history, and community involvement. Fraternal greetings to all fellow Masons from the officers and members of the lodge, equally welcomed are visitors. We hope non-Masonic visitors are motivated to learn more about the philosophy, tenets, and purpose of our great fraternity. 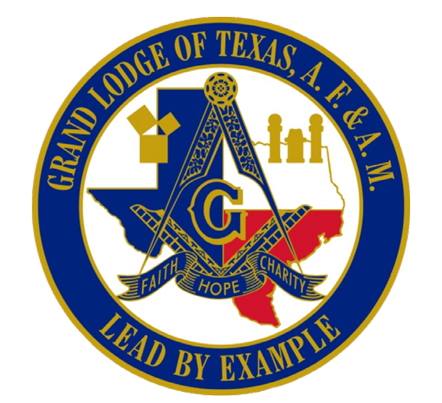 Claud L. Austin Lodge is dedicated to fostering fellowship and conviviality among its members and celebrates the same in quarterly Festive Boards, in addition to stated meetings. What is a Festive Board? The first Festive Boards were held by the Operative Masons in the 14th Century when they celebrated various religious festivals. Later these gatherings were arranged for Masonic purposes. On special days the Masons would gather in some corner of the building under construction or in a temporary structure near the building site called a Lodge. The earlier masons dined on meat and spiced ale, but as masonry grew, so grew the menu. The Feasts might encompass several days. There is a 1506 record of a bill of fare for a banquet of about 50 people. It included 36 chickens, 1 swan, 4 geese, 9 rabbits, 2 rumps of beef tails, 6 quails, 50 eggs, and 4 breasts of veal. The meal took place in a formal setting at which the Master would preside over the ceremonies and direct a series of toasts. We extend fraternal greetings and a cordial welcome to attend our meetings. Visiting members should plan to arrive 30 minutes before meeting starts. STATED MEETINGS: Fourth Monday of February, May, August, and November. Meeting is at 10:00 am, lunch follows. Meeting location: Scottish Rite Cathedral.